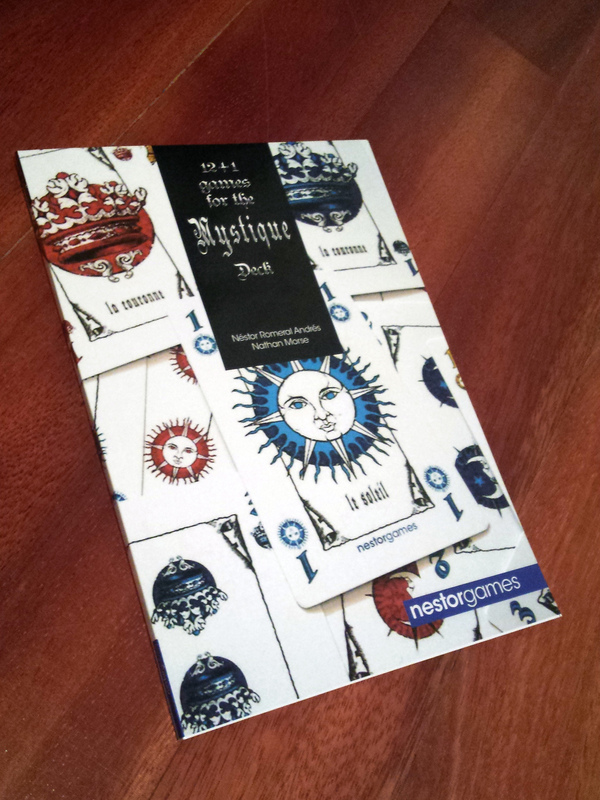 Taigo, a game for 2 players by Néstor Romeral Andrés. 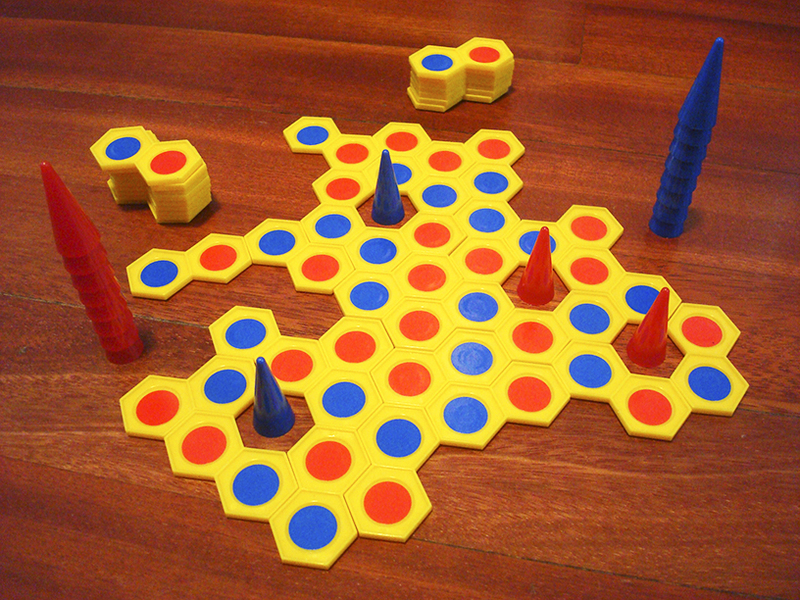 Taigo ( taiji + go , the Japanese word for “five”) is a tile-laying game in which both players use the same unique type tile, which has both of their colours, with the goal of creating a 5-in-a-row. 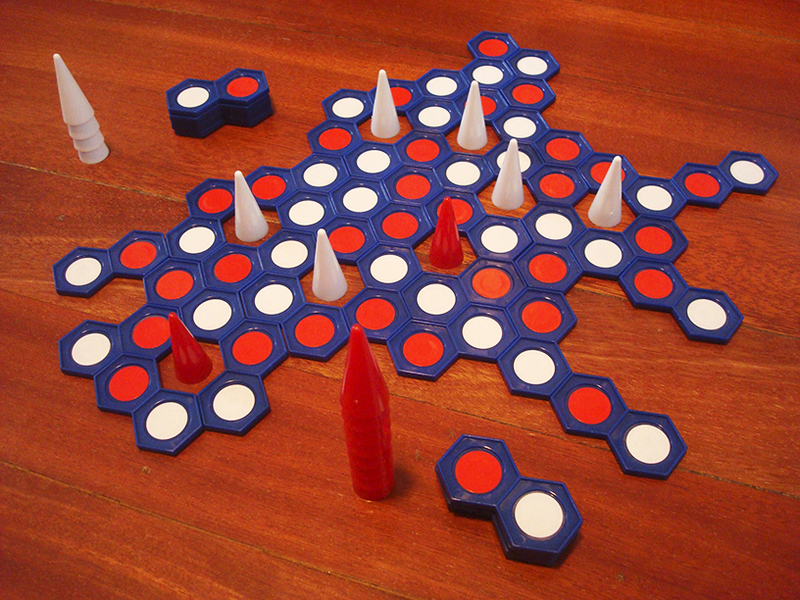 Also the players must fill the ‘holes' that they will eventually create with cones of either colour, that also count as spots for the victory condition. But if the game lasts long enough, your cone supply may run out and you will be forced to use your opponent's colour! Material: 40 plastic tiles composed of two conjoined hexes (48mm long), 10 cones of each colour (20 in total), more than enough stickers in two colours, carrying case. It requires some assembly (putting the stickers - around 10 minutes). 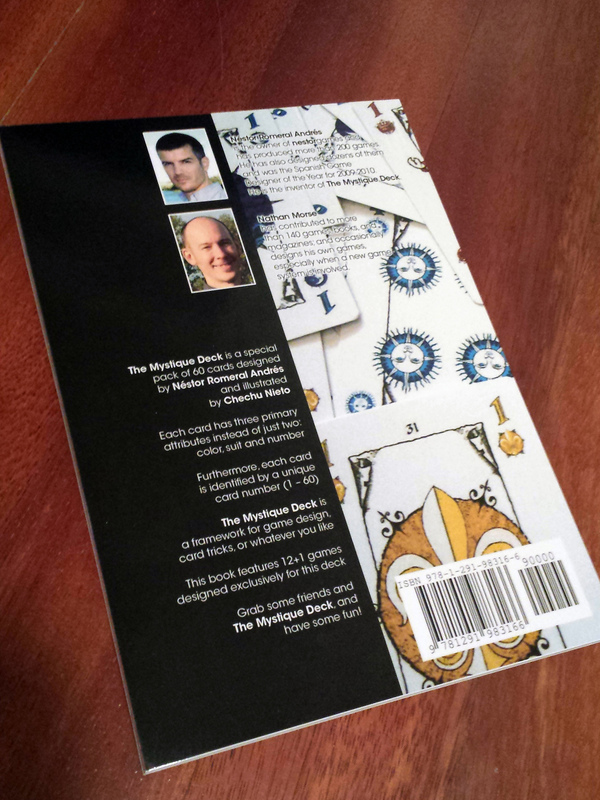 There are 4 editions available. Please choose the one you want in the drop-down menu of the 'add to card' button. The default edition is Red while supplies last. 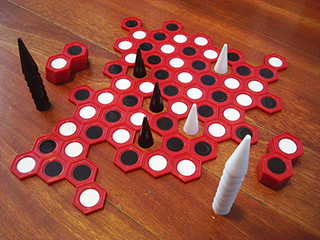 - Red hexes with white and black stickers and cones. 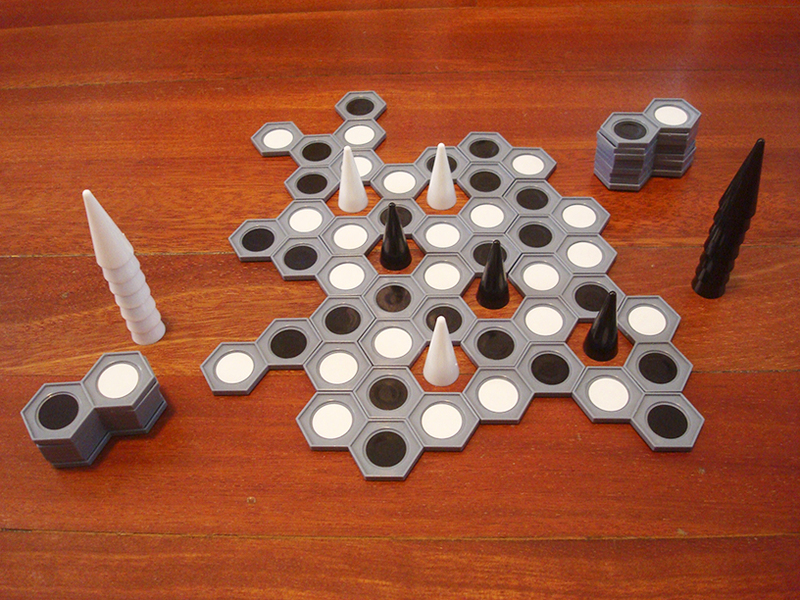 - Grey hexes with white and black stickers and cones. Running out!! - Blue hexes with white and red stickers and cones. - Yellow hexes with red and blue stickers and cones. This is a limited edition. I've got around 50 copies for each colour in stock. No more copies will be made with these components and so affordable. Editions that sell out wil lbe removed from the list.